The Congress hit back, accusing the BJP of “diverting attention” from issues like unemployment by targeting its leaders. Congress president Rahul Gandhi at Bucerius Summer School in Hamburg, Germany. Accusing Congress president Rahul Gandhi of “belittling India” and “presenting it in a bad light”, the ruling BJP Thursday said Rahul had justified terrorism and lied to attack the Narendra Modi government. The party also sought an explanation from Rahul on his remarks made in Germany. Addressing a gathering at Bucerius Summer School in Hamburg on Wednesday, Rahul had cited the example of Islamic State to say that exclusion of a large number of people from the development process could lead to creation of terrorist groups. He had also accused the BJP-led government of excluding tribals, Dalits and minorities from the development narrative and said “this could be a dangerous thing”. The BJP spokesperson said Rahul’s submission was that minorities in India would “sell their soul” to IS if jobs are not available for them, and this amounted to “denigrating” the community. “His speech was full of lies and deception,” Patra alleged, wondering if the figures Rahul cited of China producing 50 jobs every 24 hours compared to 44 in India, were “made in 10 Janpath” (UPA chairperson Sonia Gandhi’s official residence). He said Sonia was Congress chief for over 19 years and ruled India as a “proxy prime minister” for 10 years. “Wasn’t this Indian culture which helped her reach the top? Rahul and Sonia Gandhi should come out and explain as to how they can point fingers at this great Indian culture,” he said, seeking Rahul’s apology for his response on the issue of safety of women in India. The rural employment scheme (MNREGA) became a “monumental success” under the current government from a “monument to failure” under the UPA, Patra claimed. The Congress reacted sharply. “The way the BJP has attacked our leaders, their choice of words….including against former Congress president Sonia Gandhi, it is a matter of regret. It is unfortunate for Indian politics. The entire country is paying tributes to A B Vajpayee. But the BJP has not followed what he had said. They have not learnt anything from him…they have nothing to say on concrete issues….They are not saying anything on unemployment… Rahul Gandhi had raised that issue…,” party spokesperson R P N Singh said. 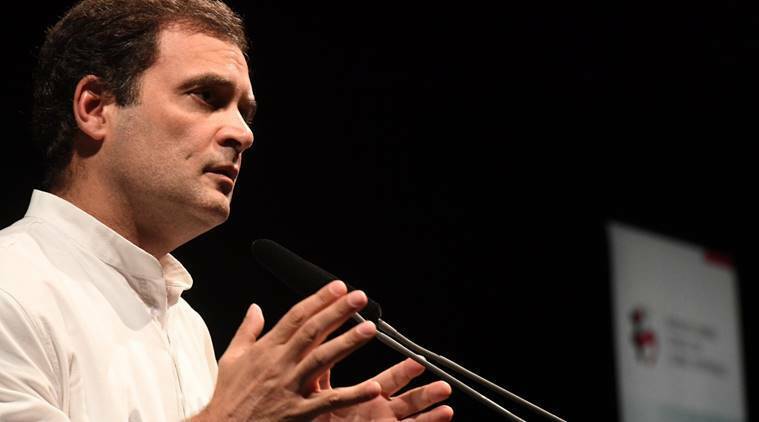 He said Rahul had spoken about joblessness and about forces, parties and organisations trying to exploit the anger and frustration of unemployed youngsters. “His issue was not just terrorism…he was talking about the the climate of hate and anger which we are seeing in the country…because people are feeding on that anger of those youngsters… but the government is not willing to accept that unemployment is a problem,” Singh said.